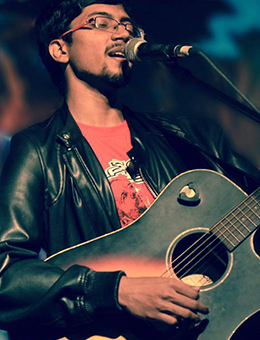 Sooraj is a singer, songwriter, instrumentalist, composer, and arranger from India, living in the city of Mumbai. classical raags, to Mozart, to the likes of the Beatles and John Mayer. average of 5 times per month. instrument and track on every song. Trio at venues like Score Bar, Blue Frog etc. Mumbai, and continues to work tirelessly at making great music.